On this page are links to useful chess resources and websites of interest. FIDE - The World Chess Federation. ECF - The English Chess Federation. Chess Cafe - One of the oldest chess websites on the net, with many articles and reviews. Kenilworth Chess Club - Club website/blog with many interesting chess articles. Exeter Chess Club - Club website with useful tutorials. 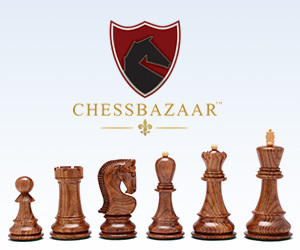 Chessgames.com - Large online database of chess games. ChessTempo - Online tactics training. Chess Tactics Server - Online tactics training. ChessExplained (youtube channel) - Youtube channel of excellent chess teacher, IM Christof Sielecki.